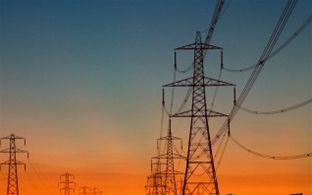 The final stage of the 3rd Package implementation has marked a milestone of the European energy industry, the aim of which is to further liberalise European energy markets. It is now inevitable and urgently requires upgrades and further reinforcement of transmission networks across borders to accommodate the exponential penetration of renewable energy sources and a more diversified generation mix. Over the last 12 months, there has been dedicated efforts by regional transition system operators (TSOs) to pursue a better quality and more secured power system. Ancillary services are essential to the reliability and security of power system operation in any competitive electricity market environment. Michael Zoglauer is Senior Expert for Energy Economy at TIWAG, which provides ancillary services in Austria and Germany. He believes the new Framework Guidelines will impact the ancillary services market in several ways. Zoglauer is a speaker at the marcus evans European Electricity Ancillary Services and Grid Integration Forum taking place in Berlin on 14-16 September. “The new Framework Guidelines should lead to European harmonisation of product definitions, time frames and technical requirements as a prerequisite for cross border integration for products serving the essential requirements of ancillary services. “One of the next steps might be the establishment of regional procurement platforms for the acquisition of products for ancillary services and reserves (e.g. the German wind reserve). Regional in this relation means covering a greater market area serving the requirements of several TSOs and nations,” he says. Increased European cooperation will be the focus of the ancillary services market in 2012, Zoglauer envisages. The marcus evans European Electricity Ancillary Services and Grid Integration Forum will be held in Berlin on 14-16 September.